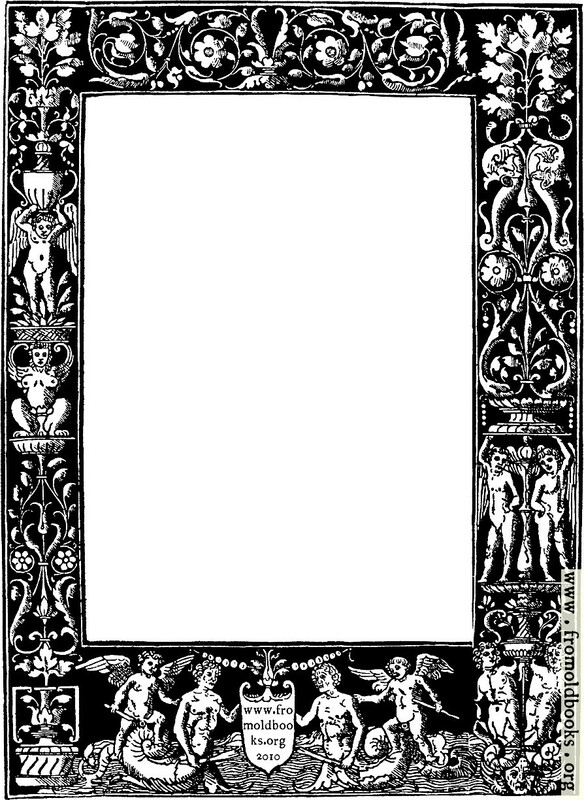 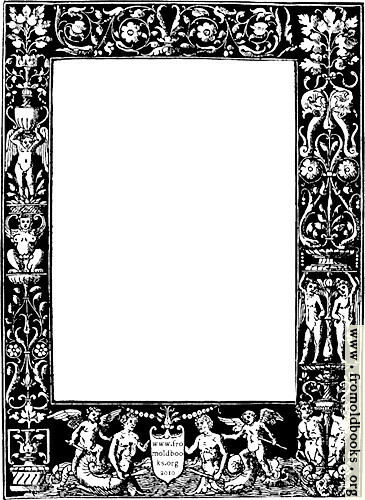 This is the ornate decorative border from the title page of this book; it features cherubs or putti (naked boys with wings) holding up giant urns or vases; mermaids and mermen; angels, vines, flowers and leaves, all in one border or frame! 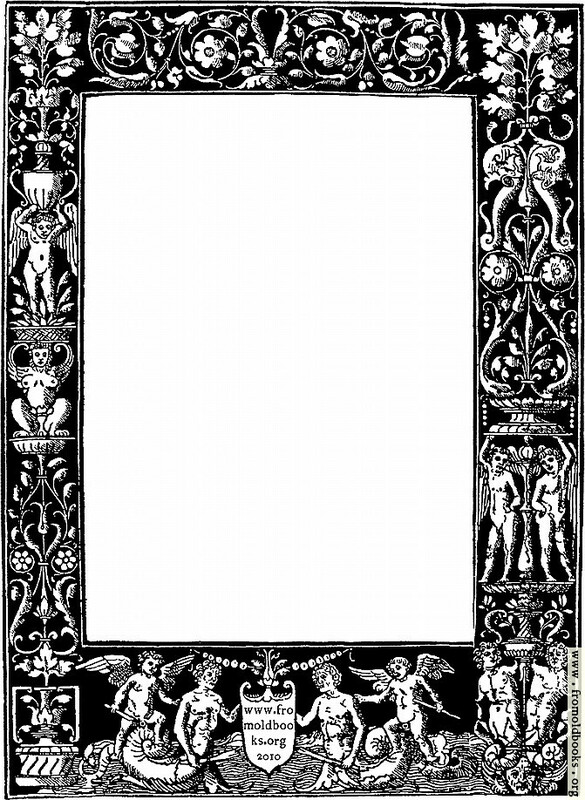 Although the border is probably from a medieval/mediaeval or renaissance source, it would of course also be fine as a gothic revival or Victorian border. 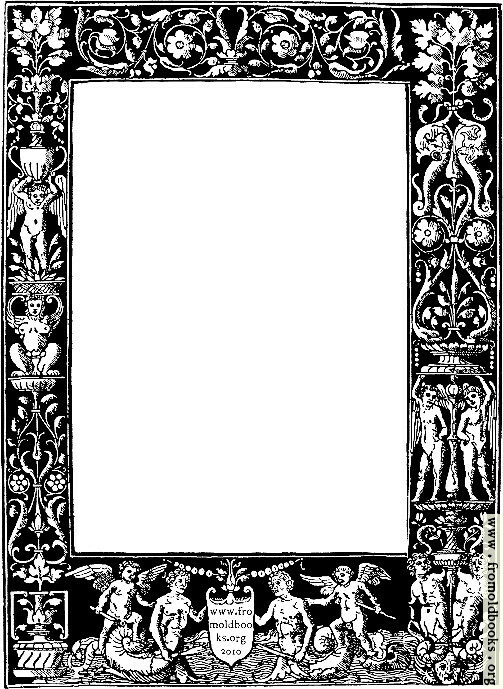 There are also green-brown (most like the original) and red versions.